The President just admitted that he obstructed justice by firing the guy leading the investigation into possible collusion between Drump associates and Russia, because of that investigation. “In an interview with NBC News on Thursday, President Trump blasted Comey for being a “showboat” and a “grandstander.” He also said he had directly asked Comey if he was the subject of an FBI probe. The FBI (and the CIA, and the NSA) all say that Russia deliberately interfered with our Presidential election last year, to benefit Drump. Drump’s not sure they did. It could be China, it could be a fat guy on a bed somewhere, it could be fake news. Anyway, he won by the biggest landslide ever. Bigly. No Russians required. The FBI, under the leadership of James Comey, was running an investigation into whether members of the Drump campaign colluded with the Russians in that effort. The FBI, last year, did an extensive investigation as to whether Hillary Clinton broke any laws with her stupid, idiotic and reckless private email server. They concluded she did not. Michael Flynn, who apparently lied repeatedly and probably broke several Federal law regarding working for Russia, was subpoenaed by the Senate committee trying to sort out this mess. The FBI is also investigating him. – he fired Comey, the guy directing the investigation into Drump’s campaign, and perhaps Drump himself. He claimed this was because Comey besmirched Hillary Clinton’s reputation. Can you believe that logic? He also made a point of thanking Comey for telling him three times that he was not under investigation. What? – he met with the Foreign Minister of Russia Sergey Lavrov, and Ambassador to the US Sergey Kislyak (1). Kislyak is one of the guys Flynn lied about talking to. Drump did this at the request of his bro, Vlad Putin. Both Obama and W refused to meet with the Foreign Minister. But Drump did. Can anyone doubt that Drump is either (a) being played by the Russians, or (b) is actively in bed with the Russians? Choose your poison. You’re dead in either case. (1) Yes, they’re both named Sergey. Not all Russians are. But they are. As always, it’s good to be home. We had a little delay in the airport in Nice for a couple of mechanical problems, but we landed only a few minutes late. And the Silver Muse Captain could take a lesson from our pilot, who came out to the gate area to explain to all of us exactly what was going on and apologize for the delay. No such luck from Silversea. Despite the well-documented problems we encountered on the Silver Muse, we had a good time. It was nice spending an extended time with Zelda and Matteo. It was nice not having to pack and unpack every couple of days, as we have on our last several trips. It was nice to have extremely friendly and attentive staff who got to know what we liked over the two weeks we spent with them. Our cabin, while not large by hotel standards, was extremely well designed (1), felt roomy enough, and had more storage than we needed. It was cleaned each day before we came back from our activity, and looked eacvh day (except for our stuff) like no one had ever been in it before. It had a remarkable number of electrical outlets, all accessible, in all the right places (2). We booked five private guides, and they ranged from good to excellent. We found Max the taxi driver on the street in Citivecchia, who made our day in Rome even better. 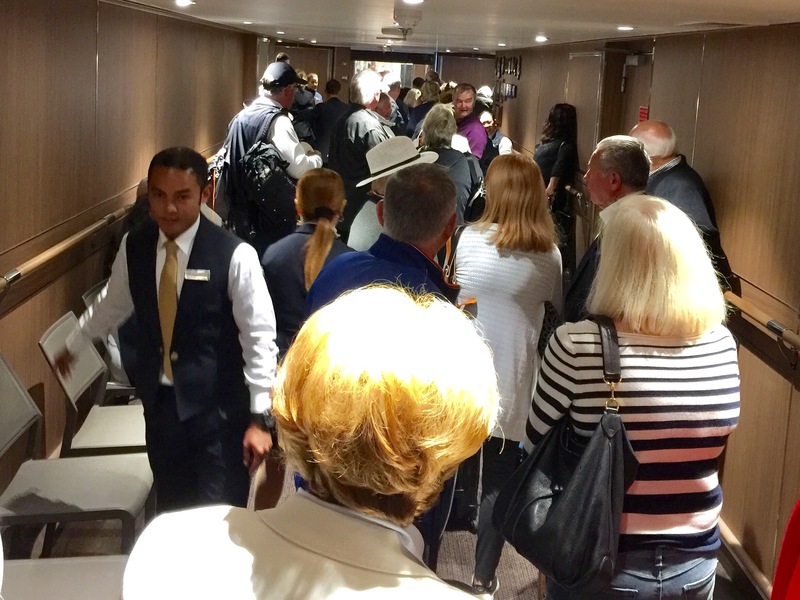 Keeping the theme of disappointment with Silversea, the ship’s Mt. Etna tour was very disappointing. There were really three sets of problems with the cruise. We really were beta testing their ship. And we didn’t even get a discount. 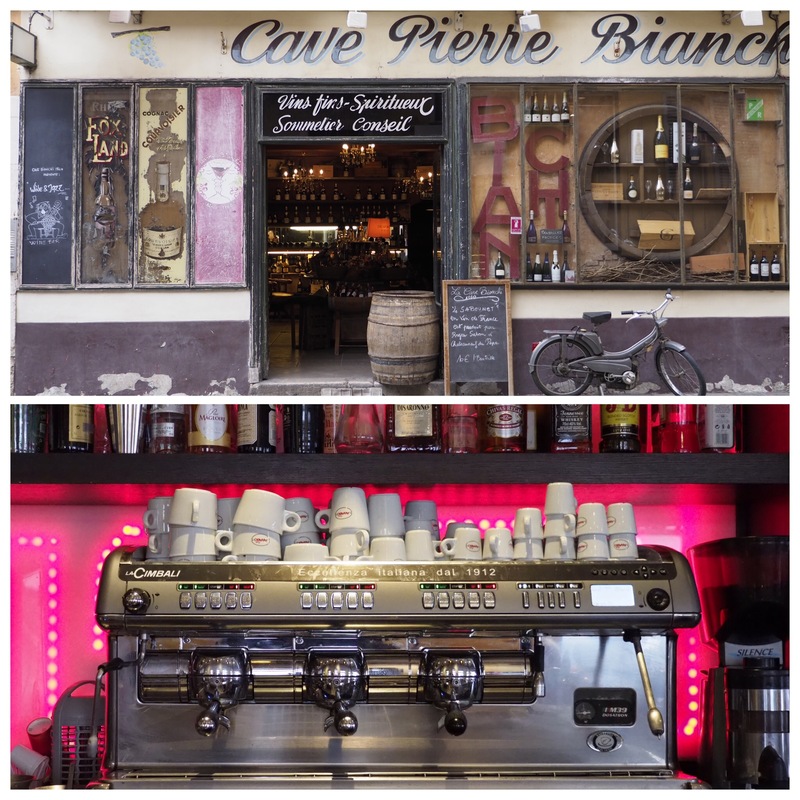 From the mechanical issues like lights falling off the wall to the really stupid way they mangled the dress code and restaurant reservation system, we suffered through all of the growing pains of a brand new operation. Presumably these will be improved in due course. The tender situation went beyond simply uncomfortable to a safety issue. On more than one ride I was on, passengers were bouncing around and could have easily been injured from a fall or hitting the wall of the boat (and yes, they were all seated). Passengers were bounced in the waves for extended periods while the crew tried to figure out how to deal with conditions that just didn’t seem that unusual to us, and which the other ships we encountered seem to handle just fine. As gracious and competent most of the crew was, the tender crews seemed like the B team. The worst part was the food situation and their ability to deal with Sally’s garlic intolerance. The last time we were on a Silversea ship, the restaurant staff had it all figured out after 24 hours. They made it easy for Sally, with the head of the restaurants finding her each day to plan for her dinner the following night. That just never happened here – the head of restaurants was useless. Instead Sally had to find someone each evening, often by going to the next evening’s restaurant and speaking to the head guy there. They then compounded the problem by either sometimes saying they lost the order, or not knowing if the dish they put in front of her was actually garlic-free. You can make her sick, people! This is not a matter of taste, this is a matter of health. I shudder to think about the consequences if they were dealing with a life-threatening allergy such as nuts or eggs. The result of all of this was that a part of the cruise that should have been relaxing and enjoyable turned into a daily ordeal. But I hate to end on a downer. The picture above shows the beautiful Villefranche bay, where the Silver Muse is waiting for its next load of victims passengers. Because cruise ships never dock in Nice (3). And oh yeah, I got warm nuts on the flight home. I ate them; they weren’t so warm, or so bad when washed down with a gin & tonic. (1) That’s if you ignore the lights falling off the wall, the bathroom door that wouldn’t close properly and the heat that took almost two weeks to fix. (2) There were an array of outlets along the desk/dressing table area, with US, European and USB sockets to accommodate everyone. Strangely, there were outlets by one night table but not the other (mine). A minor problem. (3) I know that’s snarky, but I can’t help myself. Our visit to Florence was on Monday. I’m only getting to it now because we’ve actually been very busy each day, what with sightseeing and the thrill park rides that they called tenders and such. And I felt I needed to write about the tender insanity from yesterday and today. Our plan was the same as it was for our last cruise visit to Florence: rent a car in Livorno, the actual port, and drive the hour and a quarter to Florence for the day. I understand some people don’t especially like driving, and specifically don’t like driving in foreign countries where the signs are difficult to interpret, and where the driving customs are different than they are used to. But it’s never bothered me, even back in the dark ages before GPS, and even in countries where you drive on the left . With a GPS, right side driving and highway signs written in the Latin alphabet, Italy is pretty easy for me. So I arranged for a car, and went down to the dock at 8:00 to complete the rental. The first problem was that our Visa card had been hacked last week (1). While Chase agreed to let us use it for the remainder of our vacation as long as we physically used the card for each transaction with a swipe or chip reader, the car rental was a manual entry transaction and so it wouldn’t work. So I pulled out my AmEx card and gave it to the guy. It was rejected. I went upstairs and got our other AmEx card from Sally. Also rejected. So I called Matteo, and he came down and we used his Visa to pay for the car (2). The rental guy was exceedingly nice and all, but this took an annoyingly long 50 minutes. Anyway, we all finished breakfast, loaded into the car, and drove to Florence. At the last minute, Sally went back upstairs to get an umbrella, although the skies were sunny (rain was forecast for early evening). Our first objective in Florence was the Ponte Vecchio, a famous bridge across the Arno River which is lined with jewelry stores. Zelda had in mind to buy herself an anniversary present. So we walked there from the parking garage and were met with a horde of people. Turns out this is a three-day holiday weekend, with May Day on Monday. So every Italian was traveling, touring and visiting places. Like Florence (and Rome). On the walk over we had passed a pottery store that carried the same handmade dishes that Sally had bought years ago on the Amalfi Coast. We all (3) looked inside, and Zelda wound up buying a few pieces to carry home. Sally did not buy anything. Zelda had less luck shopping on the Ponte Vecchio, so we all just went for lunch. By this time it was starting to drizzle, so Sally was very happy to have her umbrella. Being a tough guy, I had nothing but my hat. Since it wasn’t pouring, we decided to walk over and see the Duomo, and perhaps go inside if the line wasn’t too long. The line was too long. From the front of the Duomo, the line snaked all the way down the side, and I couldn’t see where it ended. So we looked, I took a picture, and we walked back to the car in the rain. This day encapsulates what’s wrong with cruise-ship sightseeing. We drove almost three hours to spend about three hours in town, including lunch. In the rain. If we were staying in Florence for a couple of days, we could have adjusted our sightseeing plans and worked around the rain. We also could have had significantly more time to explore, or returned to our room to dress more appropriately for the light rain. Instead we got the Readers’ Digest version of Florence: so condensed it actually misses the point. Just my opinion, of course. YMMV. The ride home was uneventful especially as the skies cleared and the sun came out as we approached Livorno. (1) Another hour of my life spent dealing with this and taken away from my vacation. (3) I looked inside for a moment, then went outside and took a few pictures. No one was hurt in the making of this episode of “As the tender turns”. Let me briefly talk about Villefranche. When we booked this cruise, it was advertised as Monte Carlo to Nice. Then a couple of weeks before the cruise, we got a note from Silversea that the cruise had been changed and would now end in Villefranche. This lead to some consternation, as we had booked flights home from Nice airport. So I looked at a map and was relieved to find that Villefranche is basically a suburb of Nice, a few miles away, along the coast. So this was an inconvenience, as we would have to somehow get from Villefranche to Nice to explore, but not that big a deal. It turns out the opening bid is that it is an €80 deal, as the standard taxi fare between the two towns is €10/person each way. Then is got more annoying when we all found out that we would have to tender at Villefranche, as there is no cruise ship-capable dock there. And so we would need to use the tenders to get in and out of town. 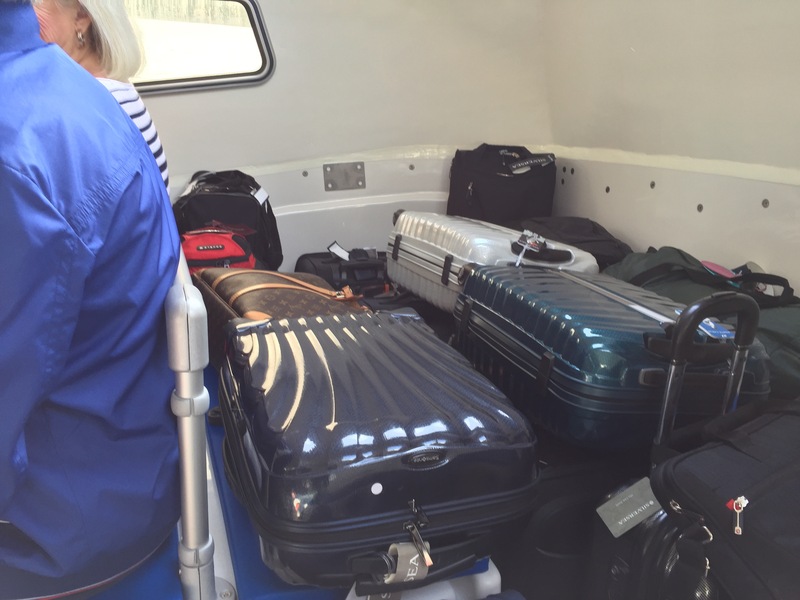 And worse, we would need to use the tenders to disembark with all of our carry-on luggage. That reduces the number of people who can fit in each tender, and elongates the loading and unloading process. So we were even more annoyed that they changed to final port from Nice to Villefranche for unknown reasons. We were never going to dock at Nice! Turns out that large cruise ships like ours never dock in Nice, but always Villefranche. The port area in Nice can’t accommodate large ships, and there’s no suitable anchorage offshore. Since it’s difficult to believe that Silversea just found this out, they not only lied about it to the world in the first place, but then lied and said it was a change in their notice to us shortly before the cruise. Simply unbelievable. 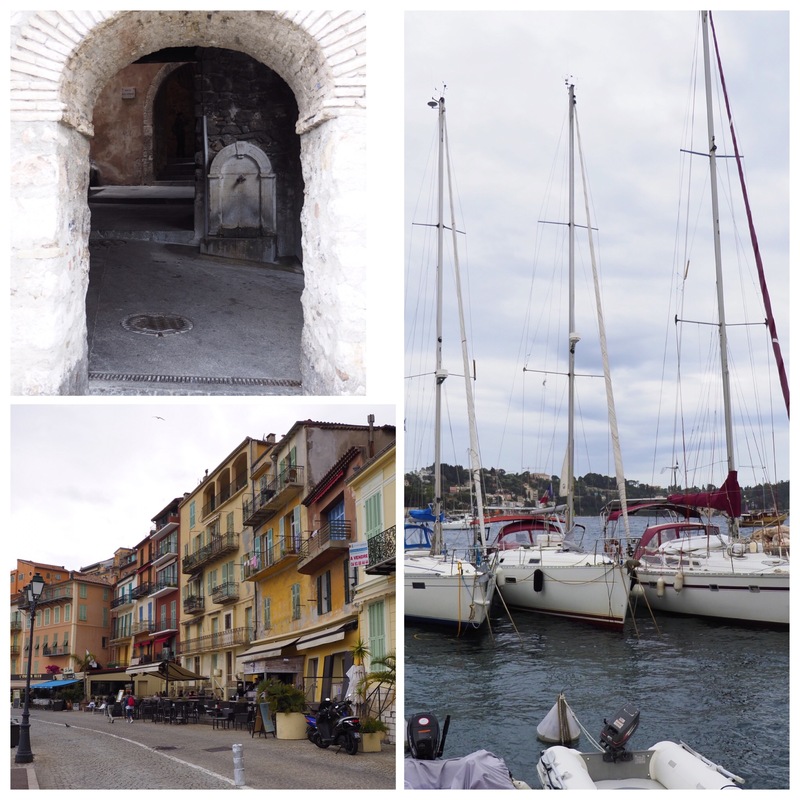 Late Tuesday morning we tendered into Villefranche on another bumpy ride. We spent a while sitting offshore on the tender as we waited for the tender from the Silversea Silver Whisper, which was also in port and sharing our dock, unload and load. All the while, bounce-bounce-bounce. We finally got in, and took a cab to Nice. 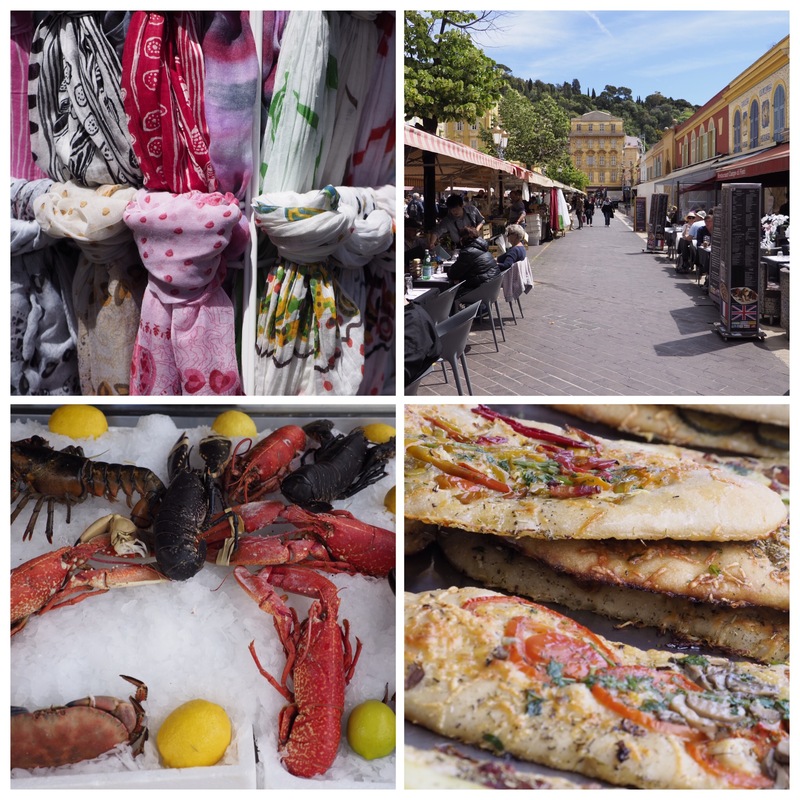 After visiting Nice, Sally decided to go back to the ship while Zelda, Matteo and I went to wander around Villefranche. It’s a very small town, similar in size to Amalfi, and built up the side of the hill. About 45 minutes later I went down to the dock to tender back and found Sally and Zelda waiting for the tender. Seems like the Silver Muse tenders were not capable of navigating the somewhat rough waters in the bay. Meanwhile, the Silver Whisper and the Royal Caribbean ship in the harbor were not having any problems, with their tenders coming and going while our folks waited. 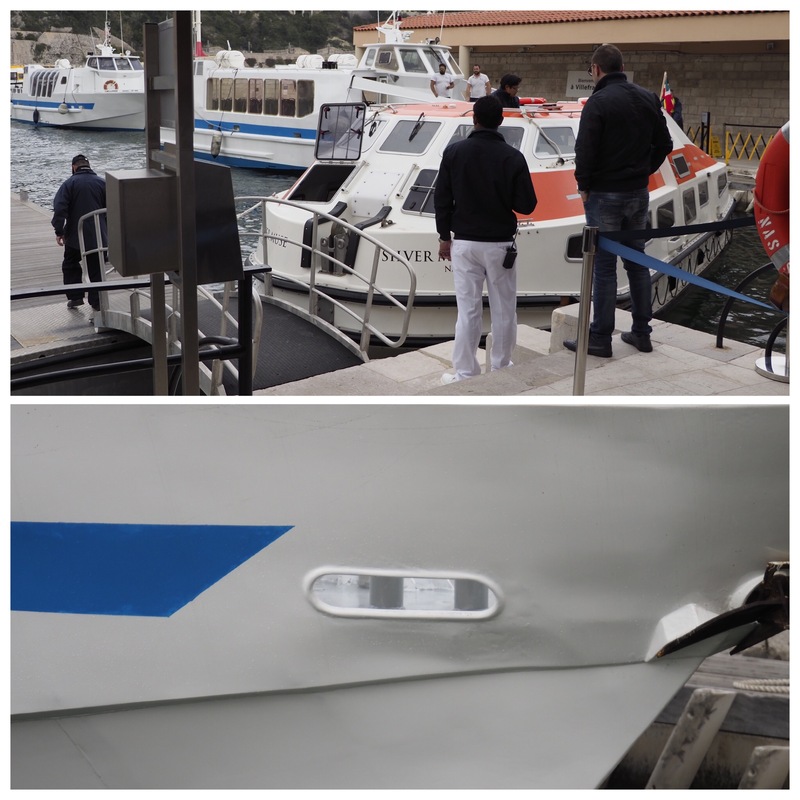 Finally a Silver Muse tender motored in and we all watched while the driver lost control of the boat, with the tail drifting out from the dock and hitting a party boat docked along side, and then making a 10-point turn to turn the boat around with the bow facing out. We all watched with sick feeling in our stomach, because this was the dopey crew that was going to take us back in these rough seas to our ship. But we all borded – this boat was pretty full because it had been over an hour since the last one – and set out. Sure enough, our ride out was very bouncy and our approach to the Silver Muse once again filled with drama. We bounced off the side of the Silver Muse several times, then pulled away and waited while they respositioned the larger ship to shield us from the wind and waves a bit. But we all finally got on board. Unfortunately for some people who got on board, they were actually passengers on the Silver Whisper! The incompetent shore crew didn’t properly check their ID cards before they boarded the tender. So they all had to get back on the tender and be taken somewhere else – to the shore or directly to the other ship, I don’t know. We’re lucky it wasn’t some person with nefarious purpose who slipped past the non-security, but I feel bad for those passengers. I later heard that the reason we had to wait so long was that the previous tender had lost one of its two engines and the driver lost control of it even more, smashing into the Silver Muse so hard that a windshield cracked and it had to be taken out of service. This morning we had arranged for our airport transfer from Villefranche at 9:30. Since we had to tender in to shore, we went downstairs at a few minutes before 9 to account for the tender loading and transfer time. There we and about 50 others waited in line for 25 minutes before loading. From there, it was pretty smooth – the ride over was fine, we unloaded fine and found our car. The car, btw, was arranged through Silversea at 4x the going rate for an airport taxi. That’s because the ship locks up all the taxis in town and makes you deal through them. So $365 for a 30 minute ride. I really have the feeling that when they were staffing the new Silver Muse (remember, we are on the maiden voyage), all of the other ships got to protect their best players and only exposed the weaker performers to the expansion draft. It certainly seems that way for the tender operation. We do think that the front line staff in the restaurants are mostly pretty great. Not so much the top management in the restaurants. Our butler, who is an exceedingly nice person and eager to please, needed a bit of training from us to perform properly. We’ve been to Rome twice before. 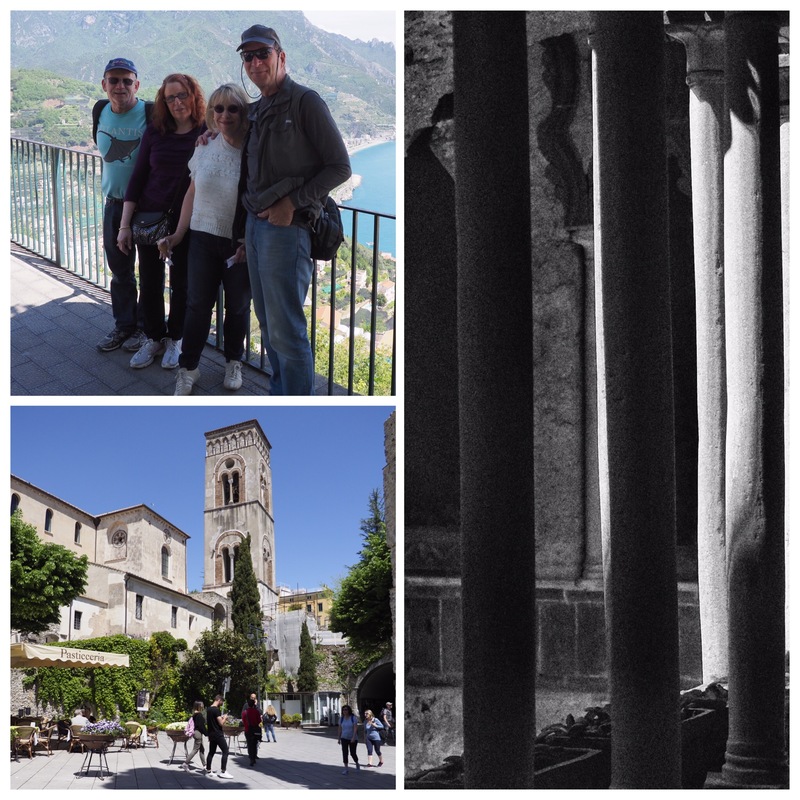 The first was a short two days after we extended our stay in Positano. 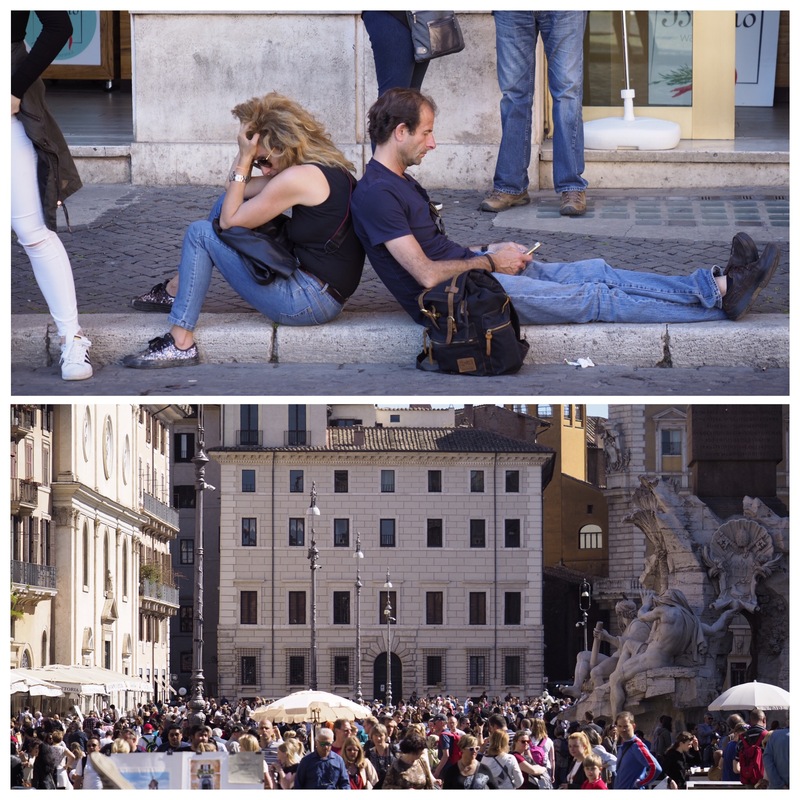 Another was two years ago with Rob & Laura, when we rented an apartment on Piazza Navona for 3 days. This time we had about 5 hours, but it was action packed. 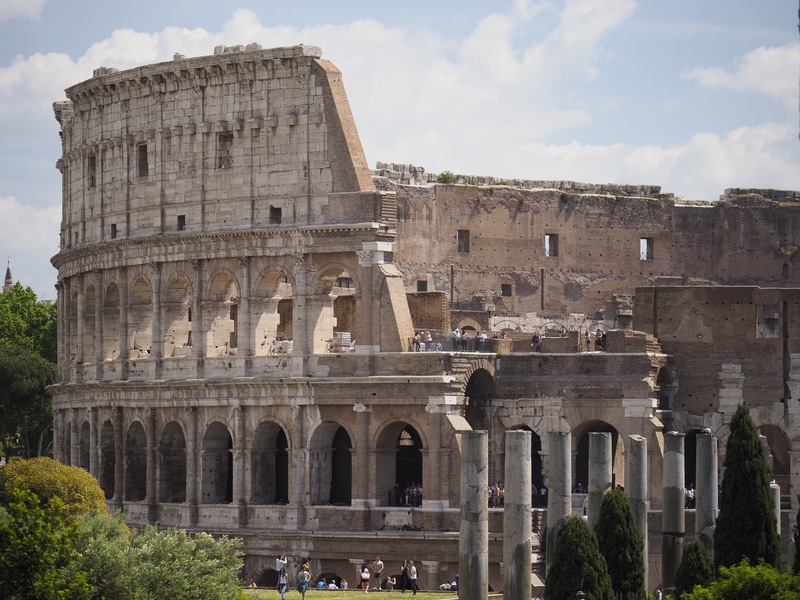 I had already arranged for a private guide to take us through the Forum and the Colosseum for 3 hours. We planned to find a taxi in the port of Cittivecchia, which is where the cruise ships dock and is a bit more than an hour away. After making the long walk out of the secure port area, I flagged down Max who agreed to take us to Rome on the meter, so no price haggling was needed. When we were almost there, he offered to wait and take us back when we were ready to return for a discount. He also offered to include driving us around Rome to some other sites before returning. We agreed. I had been through the Forum a couple of times, but never with a guide. And I had never been inside the Colosseum. Our guide turned out to be an energetic Englishman with bad allergies to periodically fell into sneezing fits, talked at an extremely fast pace, had encyclopediac knowledge and was overall very helpful. 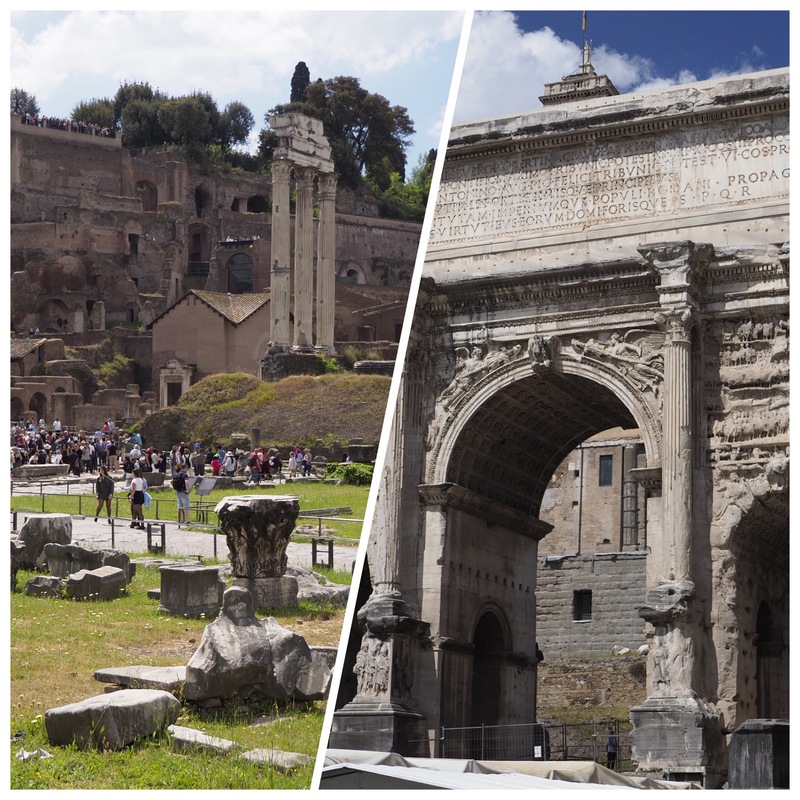 As expected, the Forum and Colosseum both involved a great deal of walking. I really enjoyed it; the guide’s archeology background gave me an understanding of both sites that I didn’t have before. Perhaps some of it will stick. More likely, I’ll remember disconnected factoids to astonish my friends with. After leaving our guide and eating lunch, we met up with Max and he took us around Rome to a few more sites. The first was the Spanish Steps, which I don’t find particularly interesting. But everyone is there because it’s the place to be. And when I say everyone, I mean that not only were the steps themselves crowded (as is normal) but the surrounding streets were packed as if people were gathered for a political rally. We made two more stops which were also pretty crowded. 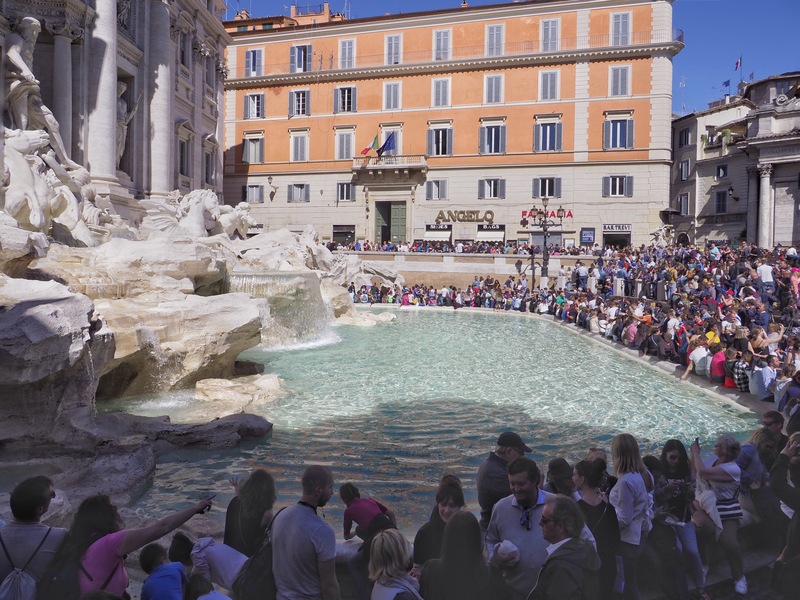 The first was the Trevi Fountain, which is an ornate structure that collects much money as people throw coins into the fountain. The crowds were deep all around the fountain, especially on the lower level. We looked on from the upper tier and to the side. 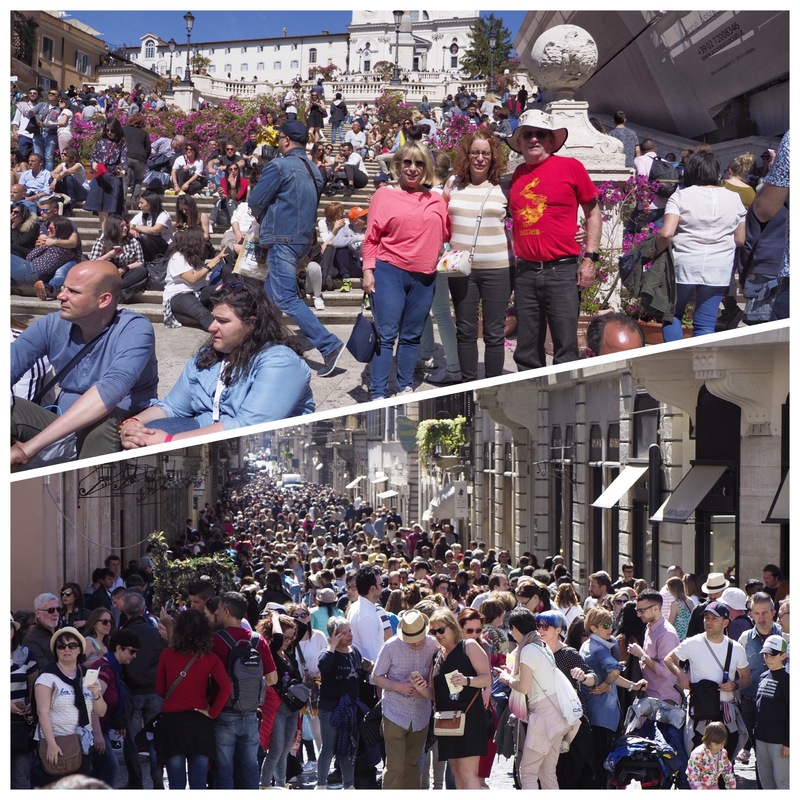 The last stop was Piazza Navona, which brought back fond memories of our stay and an opportunity for gelato. Then we got back into the car with Max and headed out to the ship. It turns out that Max has a licensed taxi for metropolitan Rome, which is a large area that extends to the port and hour away. It also turns out that he has license 01, which was first issued to his grandfather in 1921. Pretty cool! All in, I have to say this brief visit to Rome exceeded my expectations despite the crowds. Hooking up with Max really made a difference in the day, and our guide at the sights was more interesting than I expected. Friday night the Silver Muse stayed overnight in Sorrento, and we used the full day on Saturday to hire a driver for a ride down the Amalfi Coast. 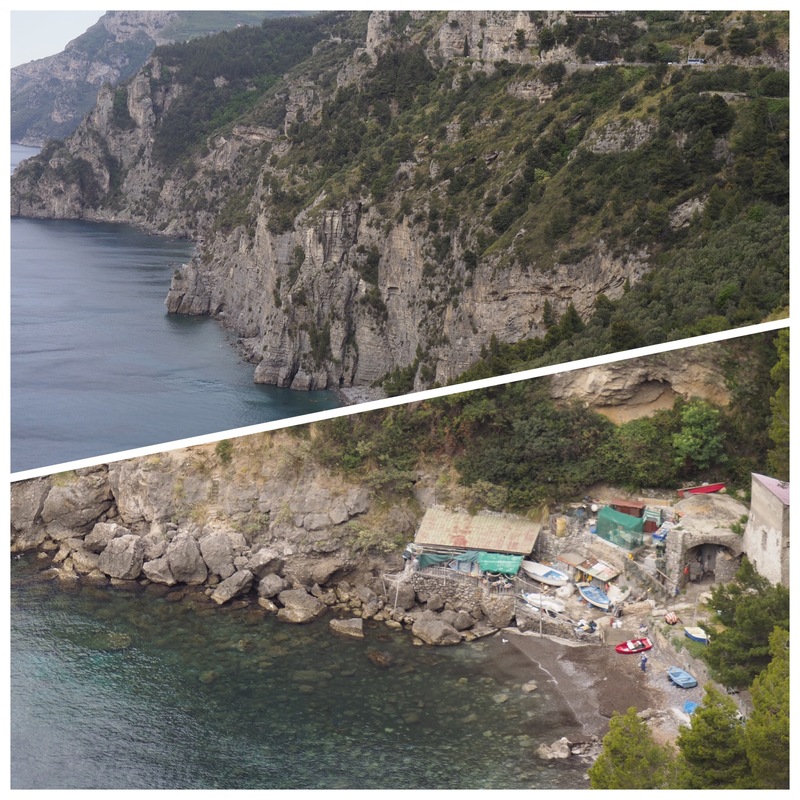 Although we stopped in Amalfi village on Friday, there were miles of coastline to see from ashore, and several stops to make along the way. Our driver Angelo was waiting at the pier when we disembarked after another not-great ride over in the tender, and we set off. Once you go over the mountain range that forms the spine of the peninsula, the striking views of the Amalfi Coast come into view. We stopped for pictures, of course. 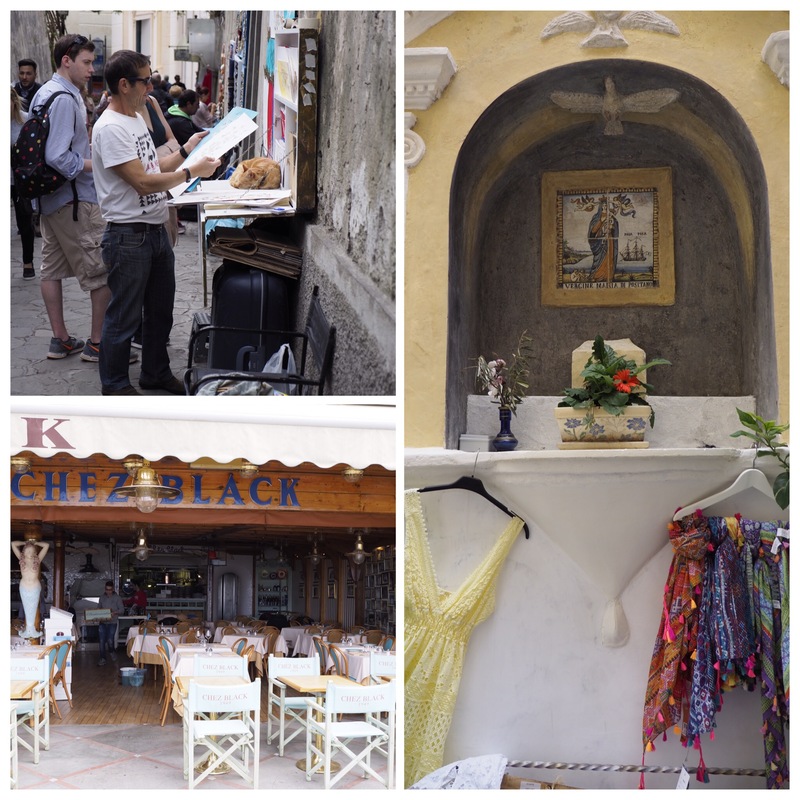 Our first destination was Positano. Sally and I had been there twice. On our first visit to Italy, we extended our stay in Positano after finding it too depressing to think about leaving (1). The other time we spent some magical time there with our daughter and her man. So we were excited to return, if only for an hour or so. 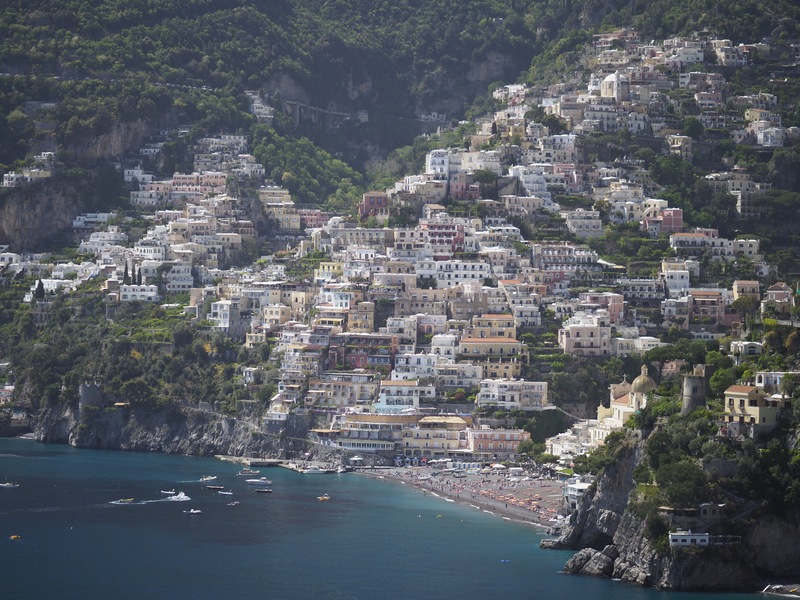 Positano is built into the side of the hills that line the sea along the Amalfi Coast. The coastal road winds down into the mid-level of town and then out, and there’s a pedestrian street that goes from there down to the beach. Angelo dropped us at the lowest point of the road and we walked down the rest of the way. The traffic along the coast is terrible. The road (there’s only one) is narrow and winding, and the large busses that travel there need both lanes to make some of the sharp corners. We probably spent 30 minutes on line waiting to enter each of Positano and Amalfi. Ravelo is not a beach town. It sits at the top of he mountain ridge overlooking the Mediterranean Sea from afar. We sadly had limited time there, so our visit was was a bit rushed. But it’s very pretty. On the drive back we made one more stop to look down at Positano, where the first picture was taken. We also got a look at the San Pietro hotel, where we stayed during those two visits. Like the town, it is built down the side of the cliff and you enter at the top. (1) This is only one of two times I can recall us changing plans in mid-trip. The other was when we escaped from Death Valley after the first night, as the heat was unbearable in our so-called air conditioned room. It took about 8 days and several complaints to get the door latch to our bathroom fixed so that it closed and latched without being slammed. It took 10 days, several complaints and three “repairs” until the heat was fixed in our cabin. We had the thermostat set to 77F, but the cabin was always cool. It’s now 12 days and the restaurant crew can’t get their act together when it comes to ensuring Sally has a garlic-free meal. And they’re even further from making the process stress- and hassle-free. Dinner started with the waiter bringing two bowls of risotto, one for Sally, and not knowing which (if either) was garlic-free (turns out both were). Then one waiter put a bowl of marinara sauce in front of her as extra sauce for her pasta. It “definitely had no garlic”, except it was marinara, which usually does have garlic. Or maybe it wasn’t for her, but for Zelda. By the end of the spirited conversation, we were sure of only two things: we had no appetite, and we had no idea if it would make her sick. (1) I’m not making this up, AccuWeather is – that’s what their Tuesday forecast for Nice and the surrounding area has said all day. I wrote the other day about the unpleasant tender rides that we experienced. I thought I’d give a little more detail. Or rather, vent a bit. A cruise ship uses its tenders to ferry passengers between the ship and the shore when there’s no suitable dock to tie up at. The ship drops anchor in the port, and deploys two of the craft that are hopefully never used as lifeboats. They are sparse, with hard plastic seats, and room for over 100 passengers in tender operation. They are designed to not sink in rough seas, but are not designed to be especially stable. Sally and I have tendered many times, and Zelda and Matteo even more as they cruise frequently. While it’s not always like a rowboat in the lake in Central Park, it’s usually a pretty innocuous operation: you hop from the ship to the tender, or the tender to the dock, and vice-versa. There’s usually a crewman there to assist passengers who need it or are nervous. Not this time. This time, we encountered tenders outside the ship that were rising and falling 3-6′, which is obviously too big a movement for most people to bridge. Two crew on the ship, and two on the tender, grabbed your arms and passed you across the gap. Often we had to wait several minutes between each passenger, which means moving even 30 people becomes a project. If you look in the first picture, you’ll see that the seas are not that rough. Yet on one crossing, the crew had to scramble to close the hatches as spray was coming in and wetting people. Another time while observing from our cabin, I saw the ship use its thrusters to swing away from the tender, creating a smoother wake for it to sit in while unloading. Another time the crew aborted loading the tender, unloaded 6 or 8 people, then moved the tender to the other side of the ship to be shielded by the wind. And in yet another, we waited while the ship was rotated to change the wind impact on the tender. 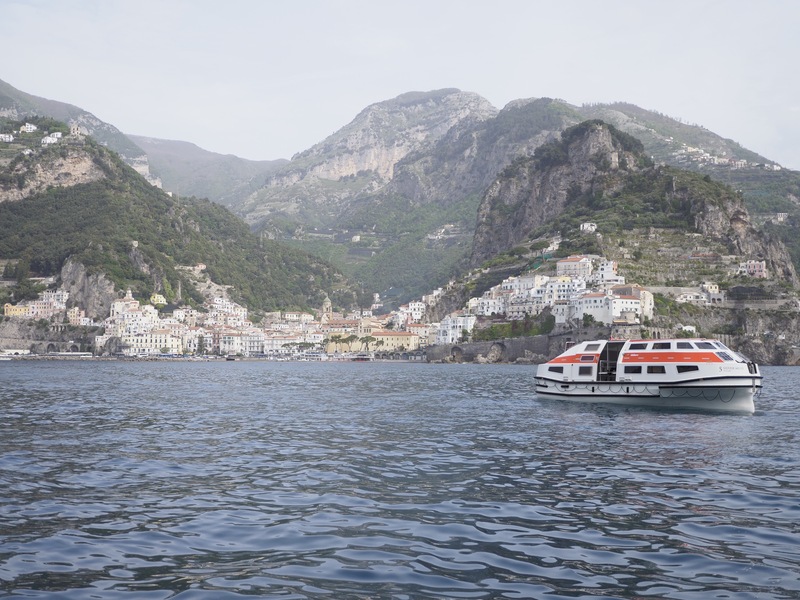 All of this in the only three stops we used tenders: Taormina, Amalfi and Sorrento. More problems then any of the four of us had in all the tender ops we experienced before. So I went to see who I could talk to about this, and spoke to the Staff Captain, who is responsible for all of the maritime operations on the ship (2). He was a pleasant enough fellow. I immediately sensed that I was was dealing with an engineer, not a customer relations specialist. He was familiar with each of the issues I raised. It never once occurred to him that letting the passengers involved know what was going on might be a good idea. All he focused on was safe and effective operations. Comfort was nice, but not critical. He assured me that the loud bangs we heard as the tender bounced against the side of the larger ship wouldn’t damage either one. Never mind that it terrified us each time it happened. I would rate the impact of the conversation and his receptiveness at 6-7 out of 10. He wasn’t defensive, but he really didn’t understand that passengers might be upset, as the boat never sank. He did agree that he and his team would think about letting us in on the joke in the future. (1) I take pride making sure my pictures are level. This picture is level. It’s the tender that’s not. 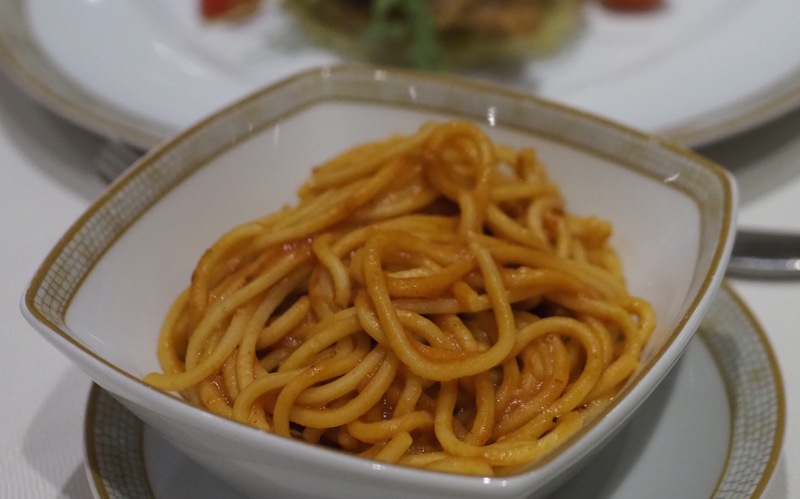 (2) Sally and I had each previously had separate conversations with the Hotel Manager about the bug report and specifically the difficulty the restaurant management seemed to be having with garlic. They got better, but not great, after that.